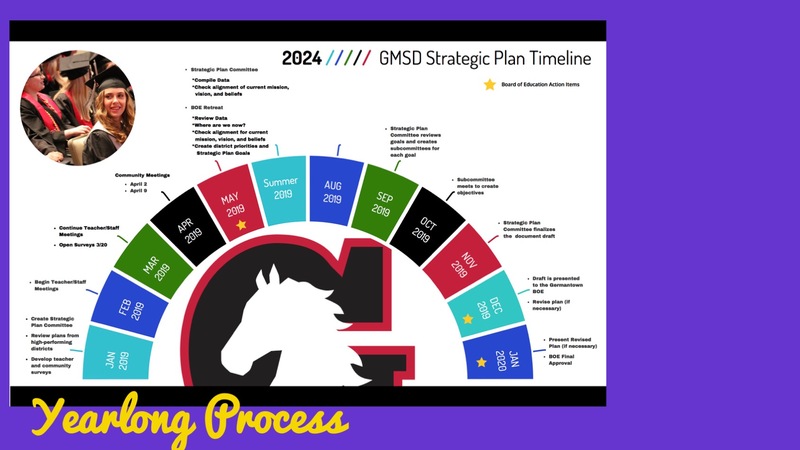 Germantown, Tennessee--March 27, 2019--Germantown Municipal School District is beginning a 12-month journey to establish a new strategic plan for our schools. Your feedback is essential . Please answer the following five questions. The district is soliciting feedback from parents, students, community members, business partners and employees. All answers are anonymous. Survey participants can register in the system for periodic updates on the process and will recieve meeting and subcommittee notices. Please click here to take our survey. And, mark your calendars for our two upcoming Town Hall Meetings. Each meeting will be identical in content/form, but offered on two evenings for those that have conflicts with either date.